A global association that mobilises life science professionals from across all areas of expertise to engage with patients, peers and thought leaders, the Drug Information Association brings its European meeting to a different location every year. For its 30th anniversary, it chose to stay close to its European headquarters and organised the event at Congress Center Basel (CCB). 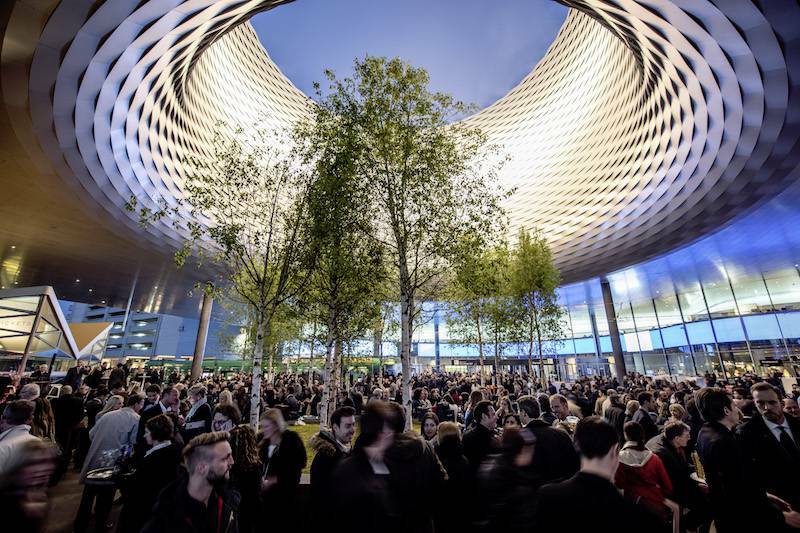 Some 2,000 participants from all over Europe convene to Basel from 17 to 19 April 2018, ‘at the crossroads of healthcare’, as branded in the theme of the meeting. The DIA is the only organisation in the world with the aim of bringing together professionals in health-product development so that they can pool their findings and push ahead with measures for the development of health products and lifecycle management. Over the past 30 years, the association has been getting experts around a single table, with the objective of finding new, concrete methods and solutions for patients. Transparent cooperation is made possible by incorporating representatives from the life sciences landscape. In this regard, the industry, the cost bearers, the patients and the regulatory authorities all have an equal say. Whether politics and regulations, research and development, marketing or economic developments: all the different stakeholders of the value chain are represented and that’s what makes the DIA conference unique. A new feature of the 2018 conference were the DIAlouge sessions – a dynamic and results-oriented format which brought together stakeholders in order to solve a specific problem. The three-day event came to a close with the rapid-fire meeting, which in the past has proven very successful, and during which the key contents and findings of the conference were presented. The innovations that helped make the conference a genuine experience included some creative stage setups, as well as a large number of unique ideas in terms of material, signage, technology and furniture. For the branding, digital elements were combined with tangible features to form a convincing whole. In Hall 4U of the CCB, an exhibition featured state-of-the-art ePosters, which made a lasting impression on participants. “The Congress Center Basel is an excellent location. The infrastructure is ideal and the working relationship perfect. In future, DIA Europe will only be rotating between different locations, and one of these will be Basel”, said Magdalena Daccord, Head of operations EMEA. Cathy Persidis, Senior Conference Manager at DIA added: “My work was definitely made easier with the support and collaboration of the CCB team”.